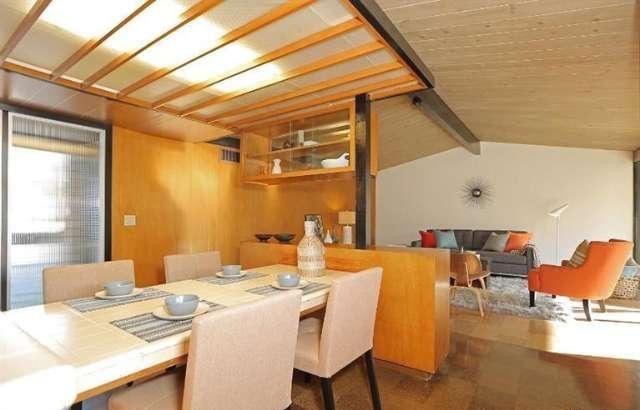 Architect Jo Paul Rognstad, a student of Whitney Smith and influenced by the case study houses, designed a mid-century modern house with sleek, horizontal lines, an expansive use of glass and decorative concrete block .A mid century gem located on a quiet street. 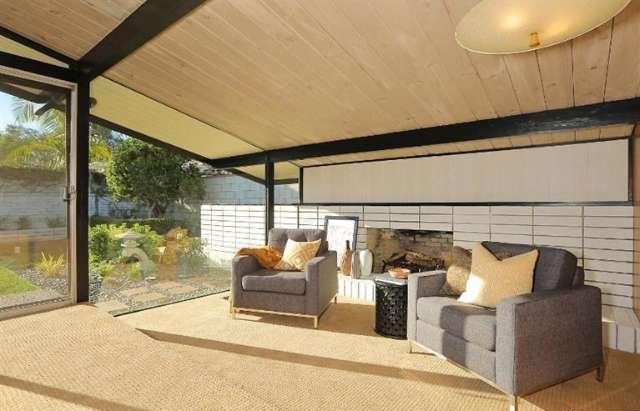 Living areas are integrated promoting family and social gatherings.Sunken living room is anchored by a fireplace.The dining area has sliding glass doors to the garden. Floor to ceiling glass and clerestory windows, create a visual that opens the space and allows a indoor-outdoor sensibility.The kitchen is bright, functional with good cabinet and countertop space and a breakfast bar. 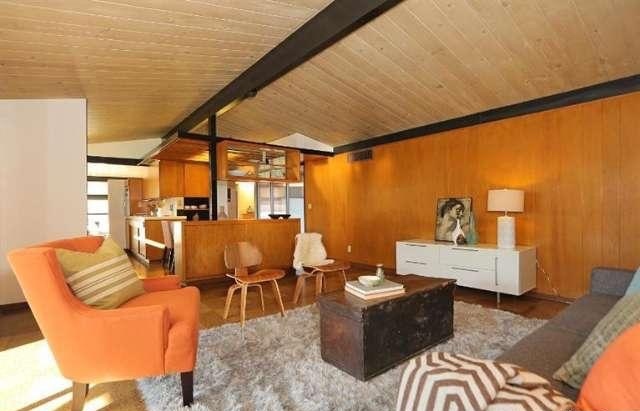 The family room opens to the kitchen, has a wood beamed ceiling and access to the covered patio. 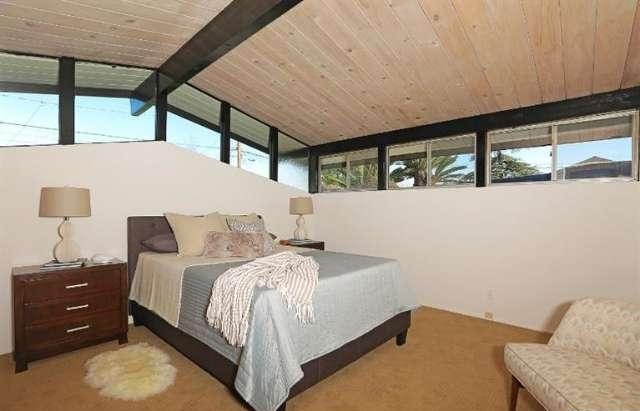 The master bedroom has clerestory windows, wall to wall closets and a separate bath. 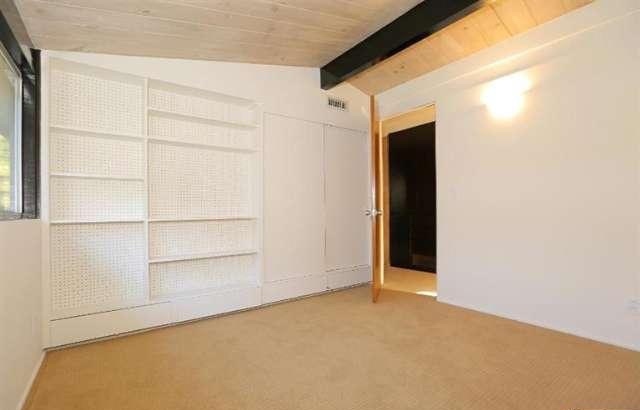 Two more light,bright bedrooms with good closets and a hall bath.A studio/office with a private entrance is a plus. Lovely gardens.